I spent this weekend at the Hyatt Regency Trinidad. 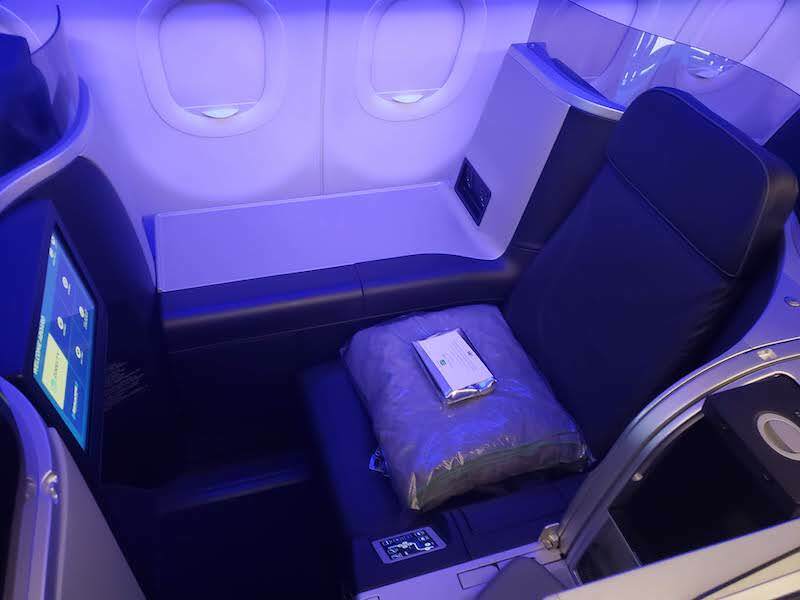 I flew to Port of Spain on JetBlue (SEA-JFK-POS) with the SEA-JFK leg a redeye in Mint Class. Going home was a bit trickier due to timing and availability using points. I ended up booking POS-JFK on JetBlue, with a 1 hour 40 minute layover at JFK. 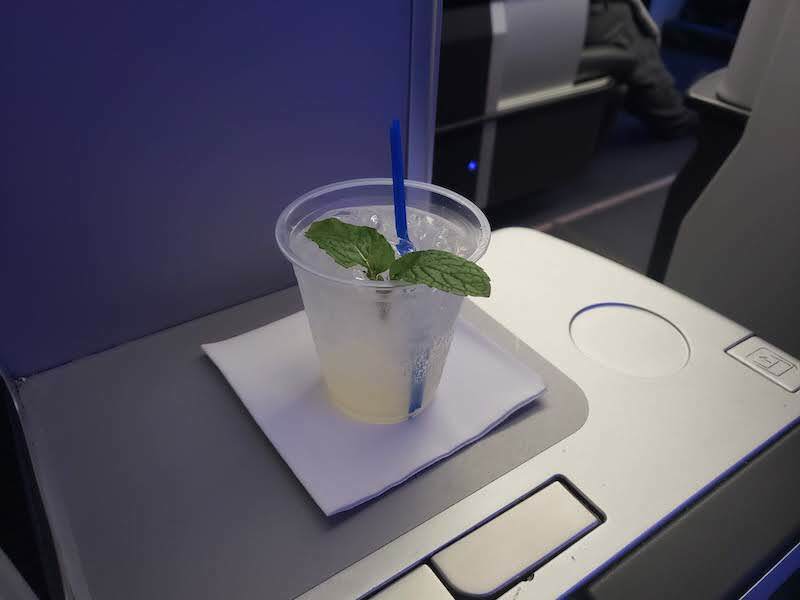 I would continue on JetBlue in Mint with an arrival at 1:00am at LAX. I would overnight at LAX with a final leg to Seattle on Alaska Airlines. It would have me arriving in Seattle at 3:00pm on Tuesday. While the Northeast was hit with a snow storm, I wasn’t due to fly through JFK until after the worst of it. However, I knew with the connections it might be better not to pre-book a hotel at LAX. Rates were remaining low, and if they shot up last minute, I could always use points. My flight out of Trinidad ended up being delayed an hour. I chatted a bit with the pilot, and it didn’t seem to be due to weather. I mentioned to him that I had a connecting flight and he told me he would keep an eye on the time and let me know as we were closer to JFK. As always, I was impressed with the JetBlue staff. Sure enough, as we got closer one of the flight attendants approached me with a message from the captain, saying we were expected on the ground at JFK around 9:00pm. This would be cutting it close, so I got online and found out there was a 10:40pm JFK-LAX flight with Mint seats still available. It wouldn’t get me in until after 2:00am, but at least I would be fine for my flight on Alaska that wasn’t leaving until noon. Plenty of time to get some sleep and a shower. Upon landing, we ended up stuck on the taxiway waiting for a gate with custom. At around 9:15, it was obvious I wasn’t making my 9:40 flight so I called JetBlue and was switched to the 10:40 flight. We finally got a gate at 10:00pm. I was one of the first off the plane, rushed through customs with Global Entry, only to find that I had to get a paper ticket and go through security once again. I hustled to the JetBlue Mint desk at Terminal 5 where the agent told me they had just closed the flight. The agent began to look at flights for the next morning, when I mentioned my situation and asked if she could see if there was a direct JFK-SEA flight. She asked if I was a Mosaic member. I explained I was not, however I had booked a Mint ticket. She made a call and was able to change my itinerary. This would get me in to Seattle at noon — three hours earlier than my original booking! She then asked if I planned to sleep in the airport overnight (by this point it was already 10:45pm). I asked about options for hotels and she explained I would need to go down to Baggage Operation to see if I qualified for a hotel voucher. JetBlue came through and put me up at the Radisson JFK (horrible property, but a place to sleep for a few hours and take a shower). This saved me at least $130 (or a good number of hotel points) that I would have had to spend on a room near LAX! On the shuttle to the hotel, I decided to give Alaska Airlines a call to let them know I wouldn’t be needing my LAX-SEA flight the next day. After not traveling as much last year, I currently sit at Alaska MVP status. I explained my situation to the phone agent; that I had recently dropped to MVP and I couldn’t remember what the cancelation policy was. She reminded me that there was a $125 change fee. Since my ticket was only $68, this didn’t make sense to pay. However, without prompting she offered to waive the change fee as a one time courtesy for my loyalty and redeposit the full amount in my travel wallet. Another $68 saved! Overall, I saved about $200 and arrived home 3 hours earlier than originally planned. In addition, due to the flight delay into JFK, I received an additional $50 credit from JetBlue for a future flight. I squeezed those travel lemons and toasted a nice glass of JetBlue Mint Limeade! You catch more flies with honey than you do with vinegar – I wasn’t in a huge rush to get home and getting upset wasn’t going to help the situation. I have found when travel plans fall apart, it is best to first put on a smile and approach those that have the power to help with a friendly demeanor. It doesn’t always work, but if you can get someone on your side, I have found most of the time people want to help you out. Be proactive – Any time things go wrong in travel, you must advocate for yourself. No one else is going to do it for you. It means calling the airline, approaching desk agents, getting on social media. Advice I have heard is to keep moving. In the grand scheme of travel hiccups, this was quite minor, but I think the advice helps in all travel situations. Know what to ask for – I knew I wanted to get home to Seattle, and I knew that there was a direct flight from JFK. I also knew that when you miss flights due to non-weather related issues, the airline will often help you out with a hotel. When I called in to Alaska, I explained the situation in full and the agent was willing to help me out. 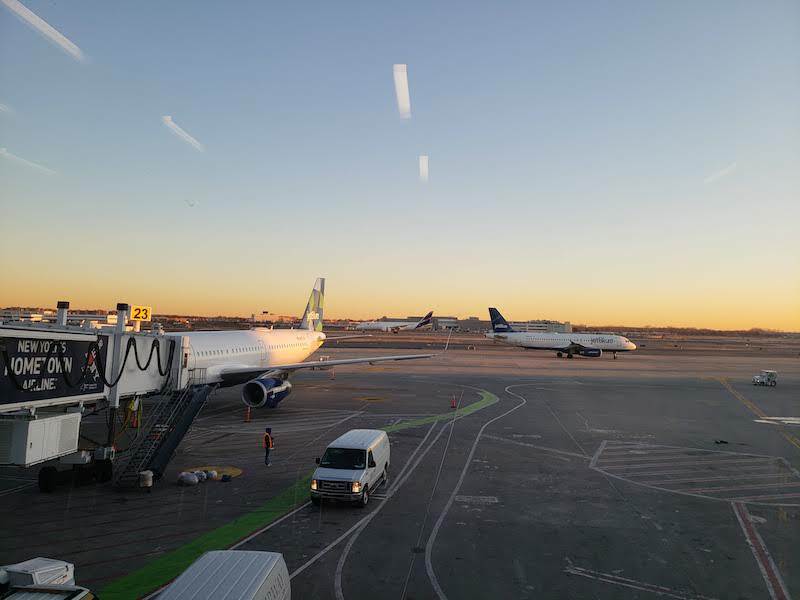 Status matters – While it worked out fine, it seemed that the JetBlue agent would have had more leverage to rebook me had I been a Mosaic member. Same with the Alaska agent. Of course had I still been a Gold/75K MVP, there would have been no change fee.